The top singing groups make it look so simple, don’t they? I’m talking about singing parts. These vocalists make their voices seem almost like one instrument in tune. Don’t worry! When you learn how to sing harmony, your voice can blend in with others in your group too. Now, those A Capella groups did not begin singing parts without training and lots of practice. So, you do need to be willing to work at it to sing harmony with others. 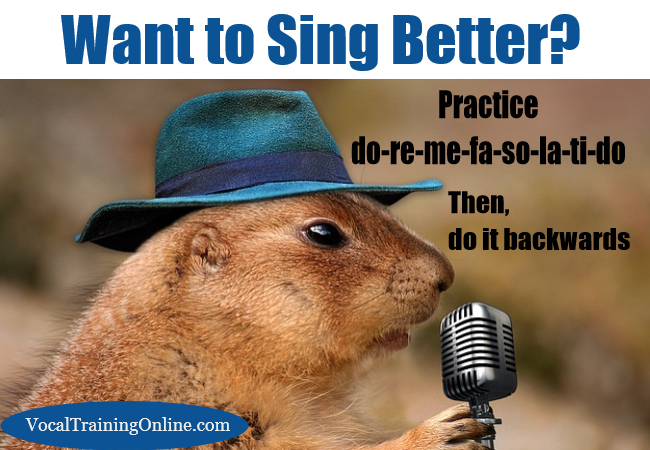 In this vocal training post, I’ll share 5 quick “secrets” to singing harmony like a pro. You Can Learn to Sing Harmony: Details Here .. In truth, harmony makes most recorded songs sound so alluring and rich. And, harmony makes melodies more delightful and enchanting. When you blend two or more voices together, the sound is more intriguing than a single voice alone. Singing Harmony Seems Very Simple But .. If you try to learn how to sing harmony, you might find it challenging. But, if you are serious about developing the art of singing harmony, take the learning curve seriously. It is far more difficult to learn how to sing harmony when practicing on your own. A partner (especially an experienced singer) can help you tune your voice and blend. Feedback takes you to the next level quickly. But, if you are unable to find someone to practice with, there are other options. Many people in the music world claim that they have achieved good results by singing along with recorded vocals. So, do a search online to find tracks with the backing vocals removed. Just like karaoke, you can sing and fill in the blanks. One benefit to using tracks is that the music is dead-on in tune. So, you tackle two obstacles at once. When you try to harmonize, I recommend that you record yourself singing. This way, you can play it back and check how it sounds. Quite often, you may feel like you are harmonizing properly while you are singing. But, when you play it back, you find your vocals are not really in harmony. At the very least, recording your voice gives you the feedback you need to learn harmony. Another recommended vocal technique is to cover one of your ears while you are singing harmony. In this way, you’ll hear more easily what you sound like to others. What you hear in your head isn’t always the same as what others hear. Try this one now! 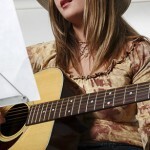 5- My “Broken Record” – Practice Some More..
Do you really want to learn how to sing harmony? If your answer is yes, then the best way to do it is through study & practice. If you put in an honest effort, you begin to hear the results you want. Like any other skill, learning, enthusiasm, and work will help you reach your goal. And remember, your end goal is to sing harmony for enjoyment. This remains true no matter if you want to sing professionally – or perform in the city choir. There is more than one way to learn how to sing harmony – or to get other vocal training you need. One way is to hire a singing coach but this could get expensive. ==> Watch the Singorama video for details..
Ready to learn more about singing harmony or solo? 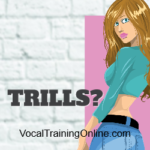 It’s no secret, you can find literally tons of digital vocal training courses online. Sadly, many are very low quality. 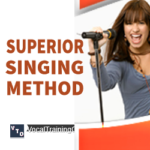 But, you’ll find Superior Singing Method is unlike anything you’ve seen before. Most beginner singers make the mistake of singing with their throats. Huh? Yes, you use your throat but your diaphragm is what gives you that extra air you need to sustain music notes. 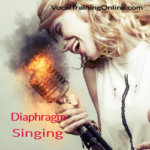 So, take a moment to read these vocal tips and use that diaphragm to sing better harmony – or solo. You’ll be in charge of your singing voice!